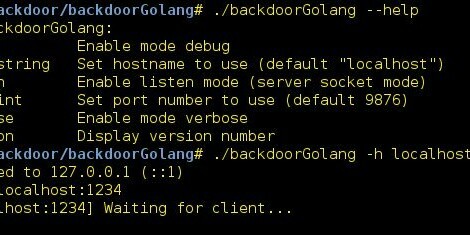 Browse: Home / backdoorGolang is a Backdoor with Golang (Cross-Platform). + The socket layer is assumed by a portable version of Netcat. I compiled Netcat for i686 and x86_64 computer architecture a put the binary inside this project. + The transmited data were encrypted with AES-128 (without using Cryptocat). The data are encrypted on the fly via OpenSSL. ← bingo – POC for auto-suggestion guessing attack.